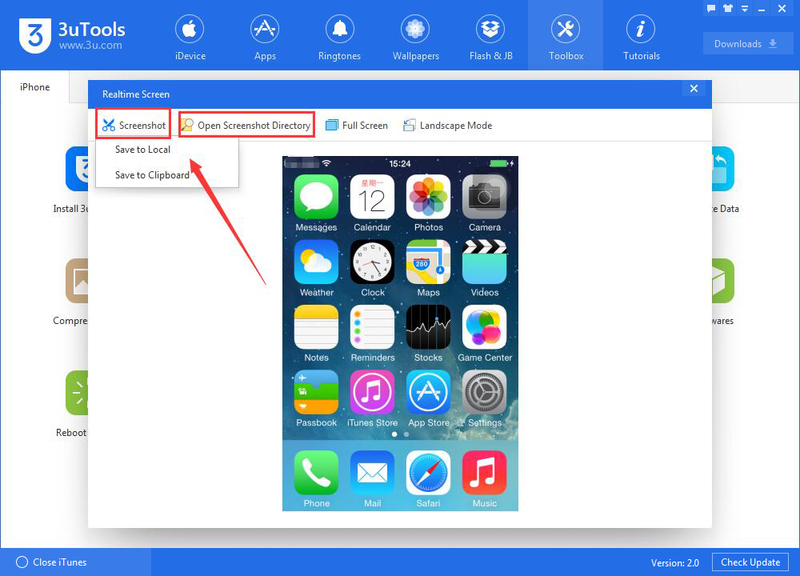 tutorial|How to View iPhone's Realtime Screen Using 3uTools? 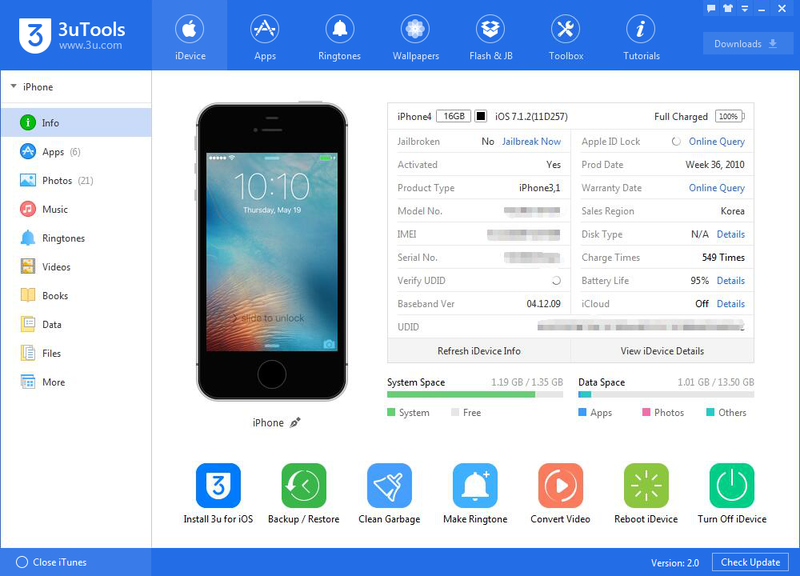 How to View iPhone's Realtime Screen Using 3uTools? The tool "Realtime Screen" can display your iPhone's screen in real time on the PC. 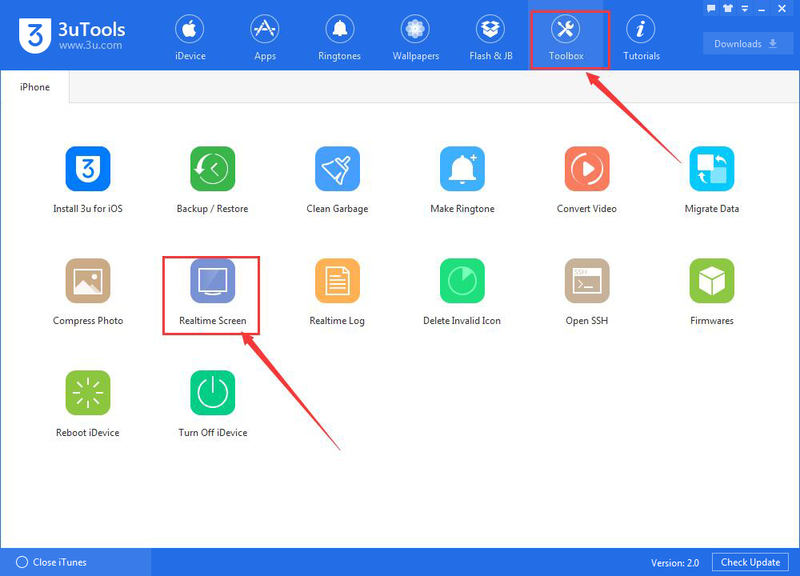 How to view iPhone's realtime screen using 3uTools? Step2: Click "Toolbox"→ click "Realtime Screen". Step3: As shown in the following picture, you can view your iPhone's Realtime Screen using 3uTools. For example, you can capture a screenshot by clicking "Screenshot". After saving it to local, you can find it through clicking "Open Screenshot Directory".